Working on the ExoMars Rover project, I was understandably drawn to The Martian when it was published and devoured it in a single day. Actually the science Weir includes is impressively well-researched. There are a few notable exceptions but they’re kind of pivotal to the plot so I can forgive them! Well the dust storm tipping over the rocket is distinctly dubious. The atmospheric pressure is only 1% of what it is here on earth, and the top wind speeds ever recorded have only been around 60mph – about half of what hurricanes here can reach (though we have predicted from simulations that gusts might make it over 100mph in peak conditions). So in terms of how many particles are hitting your body and their collective mass imparting a force, the top winds there would be barely enough to feel, especially through a space suit. In fact they have to get up to around 40-50mph to even lift the dust. I like to think of it like being run into by a hippo at top speed vs being run into by a kitten at top speed. Though that’s mostly because the idea of being run into full pelt by a kitten makes me happy. Ah, the perchlorates. We found evidence for them with the Viking landers in the 70s, confirmed them from ESA’s Mars Express in 2005, and NASA released that thing about finding them in RSL last month and everyone got excited like it was a new thing. Well the RSL are new, but not the perchlorates. So perchlorates are generally chlorine (and sometimes something else as well, like magnesium or calcium) with a lot of oxygens, together in a molecule. They’re abundant in Martian soil. Entire percentages of them (well, up to 1%, anyway). And here on Earth we don’t find them at more than fractions of a fraction of a percent. (Highest known reading is from the Atacama desert and is 0.0026%.) In fact any level over 24 parts per BILLION in tap water is considered above the safe threshold in the US. They disrupt the thyroid gland. So Watney would develop a massive goiter, and be pretty sick, if not dead, if he was exposed to the amount of soil he put in the hab, especially over the duration he was there. Skin rashes, nausea, vomiting, prevention of iodine uptake, inhibited production of new blood cells and consequent low blood count, as well as death are known effects of hypothyroidism. They also accumulate at higher concentrations in plants grown in perchlorate containing soil, so those potatoes he grew would be pretty toxic. Getting on to the potatoes… They would never be still viable. 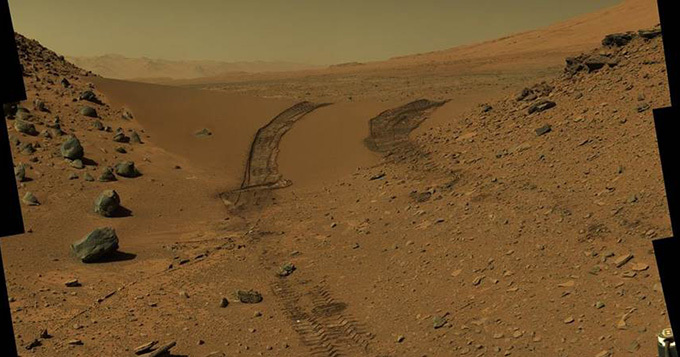 There is no way that NASA would send fresh veg to Mars. The journey over is 9 months- they would have rotted by then. Even assuming they were kept frozen (which is not something space agencies currently do to space food as if the freezer broke all the food would spoil) they would have been partially cooked or irradiated to sterilise them for the flight. Most likely they would have just been freeze dried like the majority of space food. So yeah, he would not be able to grow them. And at some point in the book I believe he blows the door off the hab then fixes it and comes back in and carries on growing potatoes. He doesn’t do that in the film, but all his precious bacteria would have died and all his water would have sublimated if that happened, as well as his potatoes being freeze dried. So… not so much. The hab fabric is AMAZING. Also their gaffa tape (known by the American term ‘duct tape’ in the book). Whilst I am very fond of gaffa, it’s not strong enough to fix a pressure seal on the hab, or his helmet. Not saying that one day we won’t have that, but right now we are far from it. On the subject of radiation, the spacecraft that got him there must have also somehow shielded him from cosmic radiation and in particular ionising radiation blasts from solar flares while en-route… which we currently can’t do, and could kill astronauts within hours if it were a bad one. But hey, it’s set in the future so perhaps I can forgive him that. The re-launch from Mars uses methane from the atmosphere to make rocket fuel. Not currently possible, and the amounts needed are huge in comparison to the levels we’ve detected there… So possibly a bit far-fetched. Interestingly we could possibly harvest that perchlorate we mentioned earlier- that makes pretty good rocket fuel. Creating fuel from substances available on Mars is definitely something we’re actively looking into, as the mass of fuel you’d have to take with you (and land) otherwise is pretty prohibitive. Finally the spacecraft they travelled in spun to get a kind of gravity thing going. To get an equivalent Earth gravity for that diameter of spacecraft you see in the film (though I don’t remember it being specified in the book) you’d need to be doing a full revolution in probably 5, max 10 seconds, and from the film it looks like closer to 1-2 rev/min. But I’ll admit it made me a bit queasy watching it as it was so I’m glad they didn’t make it hurtle round any faster! I’m sure there are other things that other people would pick up but they were the ones I noticed. The distances, locations of landers, orbits, sources of water and oxygen, calcs that he does, putting out solar panels to charge the rover, and all of that side of things is all sound though, so on the whole, big respect! Do you have any thoughts on the science used in the book? Let us know on twitter @science_council.